Life is all about emotions and celebrations. Everyone would like to be part of the celebrations, while at the same time has to go through various emotions. Wedding is such an event that provides you wonderful prospects to enjoy merriment at the event as well as emotions of the rituals and traditions. As far as Indian weddings are concerned, one will see different rituals, cultures and traditions. 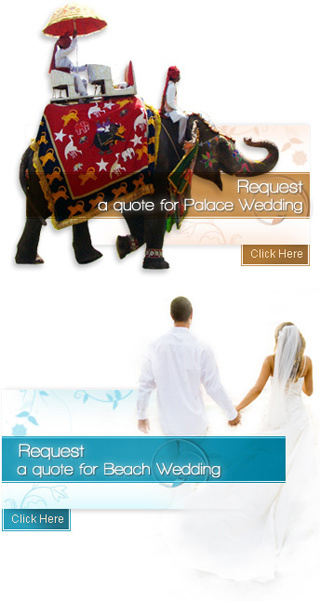 Therefore, marriages in India are worldwide famous for their extravagant and gaiety features. Maharashtra weddings are not an exception in this regard. Marriage according to the Maharashtrian traditions presents beautiful concoction of alluring and pious attributes. The rituals start well before the main event in the form of sakhar puja, kelvan, simant puja, halad chadavane and seemaan puja. All these Maharashtrian pre-wedding customs are performed with great deference. They are followed by wedding day rituals such as antarpaat, laxmi narayan puja and jhal phirawne. The rituals and traditions does not end there, in fact, they go forward even after the special day. Reception party, changing the bride's name, varat, grihapravesh, suun mukh bhagne and tond dhune and vyahi bhet are such customs, which are performed during the post-wedding days. This section is all about the Maharashtrian weddings. By visiting further pages of this section, you will come to know more about the Maharashtra pre-wedding, wedding day and post-wedding customs.